Every employee is a fitment expert. Save 80% of time at the counter. 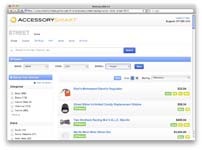 View pricing across all suppliers. 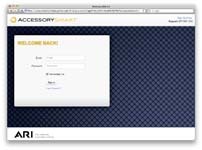 Instantly available anywhere with an internet connection with always up-to-date product information. 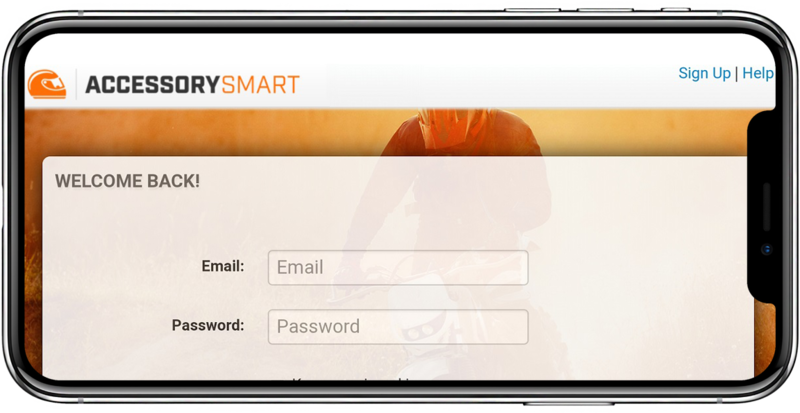 Mobile and tablet dedicated presentations compatible with all major hardware without install. 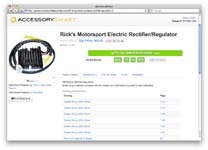 Dealer-centric search and workflow with optional customer-friendly views to mask sensitive information. 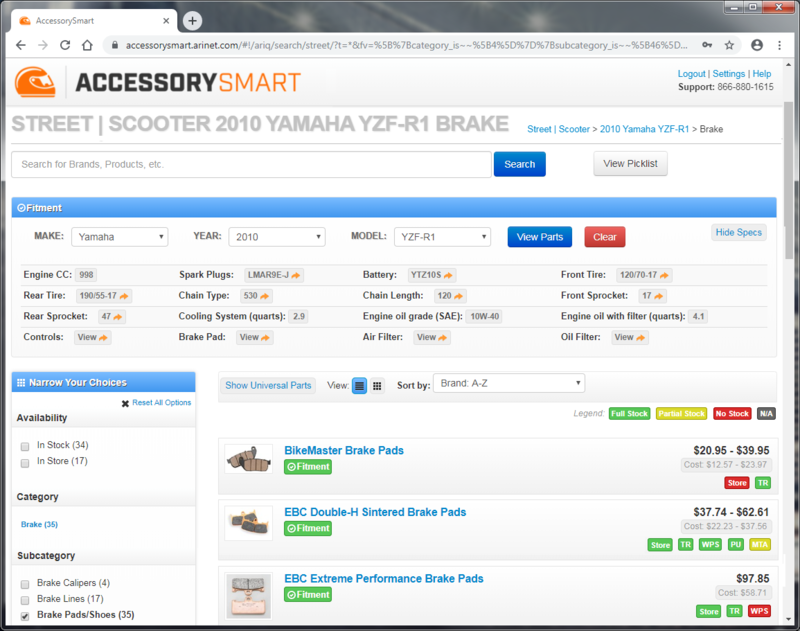 Advanced search with recommendations – including vehicle fitments, brands, categories, subcategories, and products. 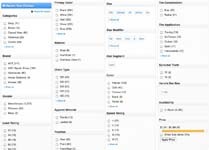 Faceted searching – easily filter products by attributes such as size, material, color, and more. 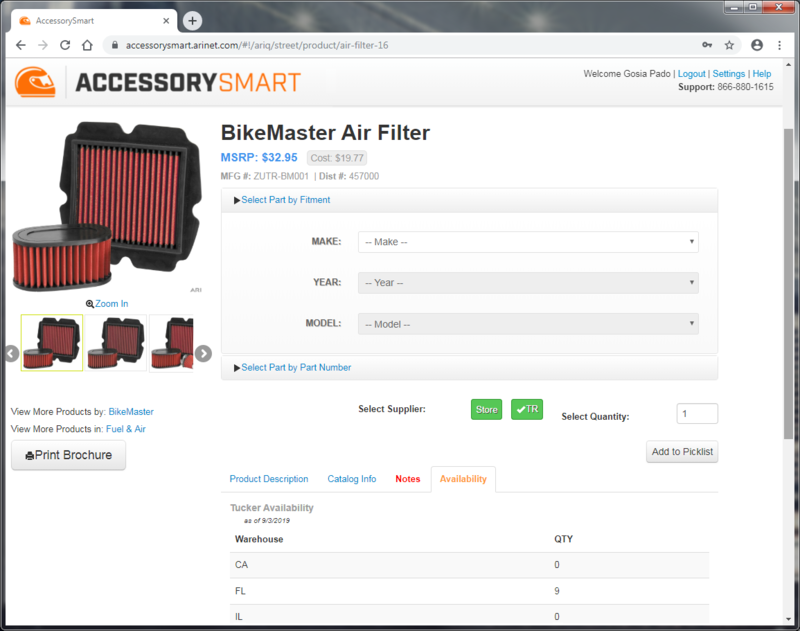 Product Fitment Search – find only products that are guaranteed to work with a specific make, model, and year. 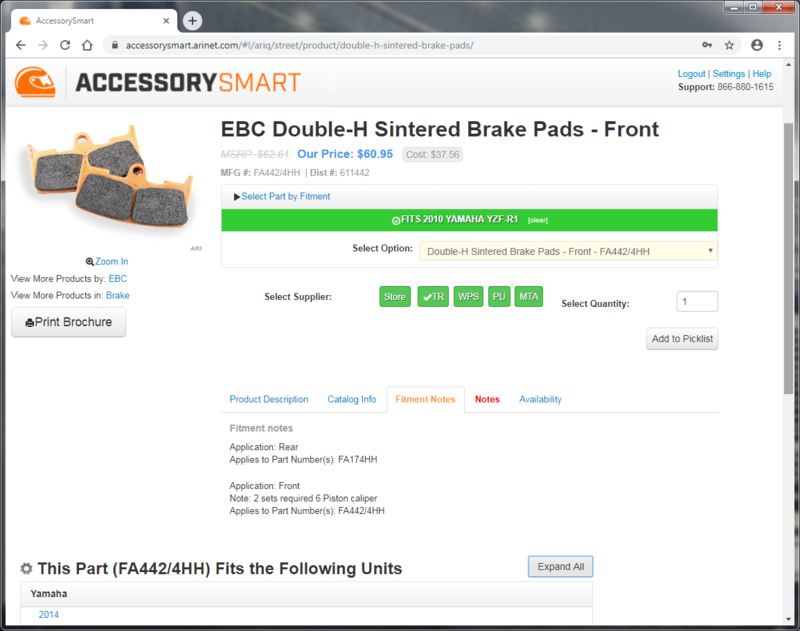 Detailed product information including fitment, fitment notes, sizing charts, high-quality images, manufacturer number, and distributor numbers. 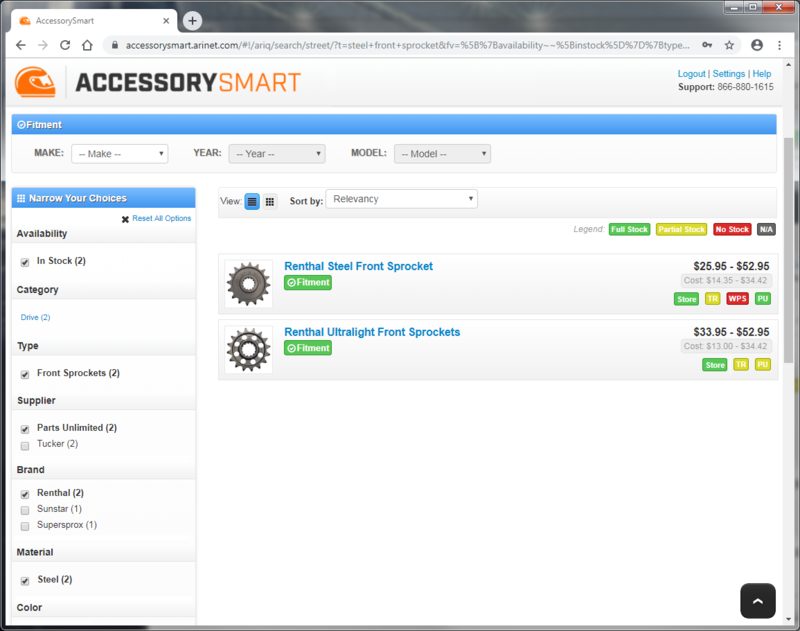 Reduces returns and restocking costs thanks to increased part fitment lookup accuracy and verified fitments. Download our one-page brochure for more highlights. 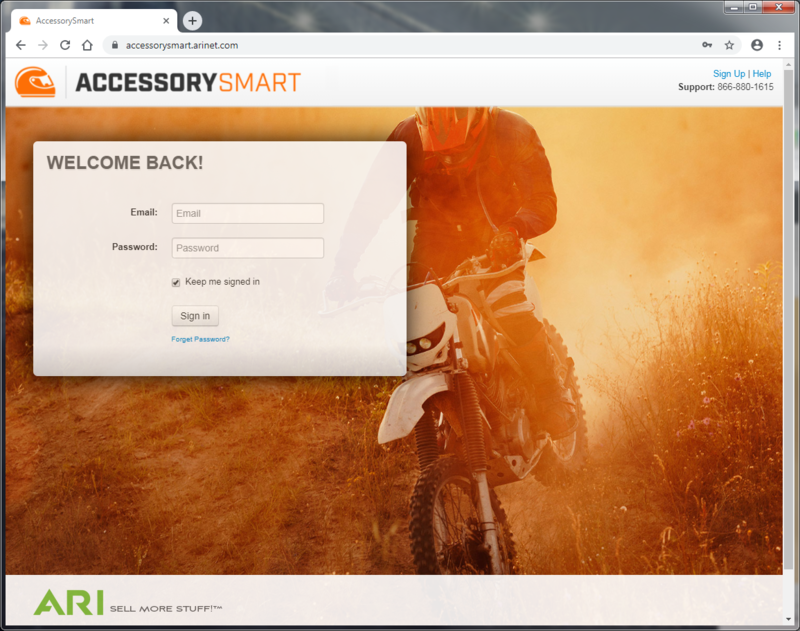 ARI uniquely brings Software-as-a-Service to the powersports market to help their dealers Sell More Stuff™. 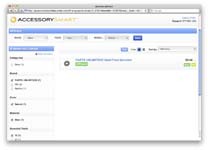 AccessorySmart™ is powered by data trusted by the largest distributors, online retailers, and the most successful dealers in our industry. 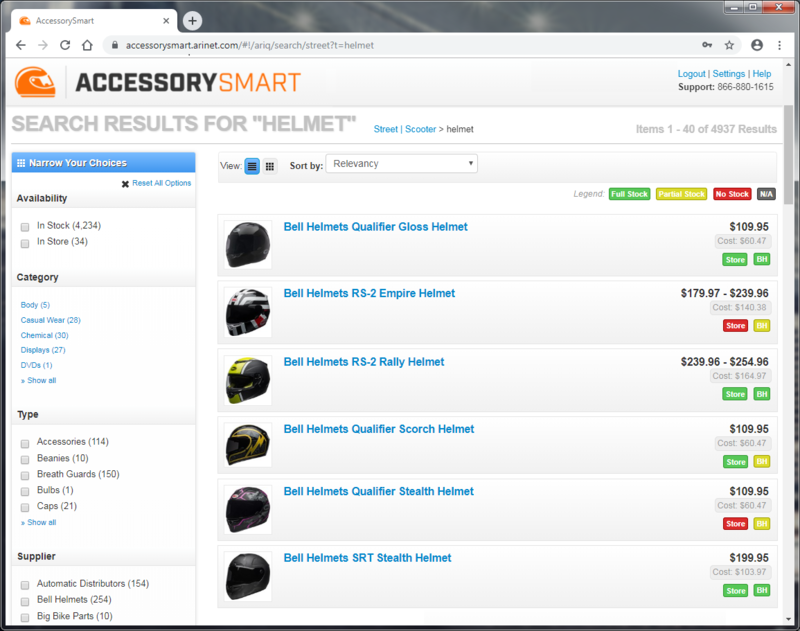 AccessorySmart™ includes data from the leading distributors and covers more than 500,000 SKUs from 1,400 aftermarket manufacturers, representing more than $71 Million in retail products. Copyright © 2013 ARI Network Services, Inc. All Rights Reserved. 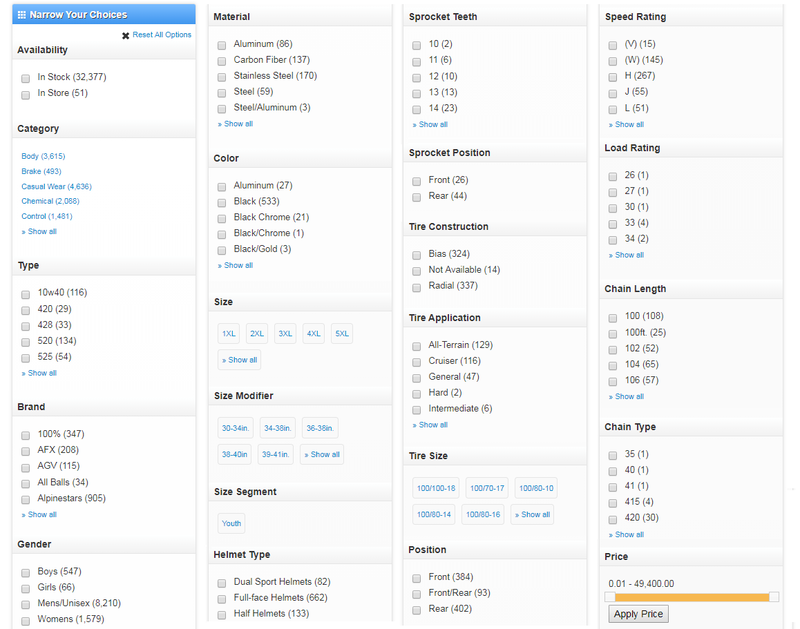 Your brochure download should begin automatically. If it doesn't you can download the file from here.